Researchers from the University of Texas did a comprehensive review of the vocal organs of birds and the kinds of sounds they made. Then they matched those up with the vocal organs found in fossilized dinosaurs for a paper coming out next month in Evolution. The results, they say, suggest that many dinosaurs were far more likely to vocalize with a closed-mouth—perhaps, a disapproving “hmm” or a more pensive “umm”—than with a full-throated roar. 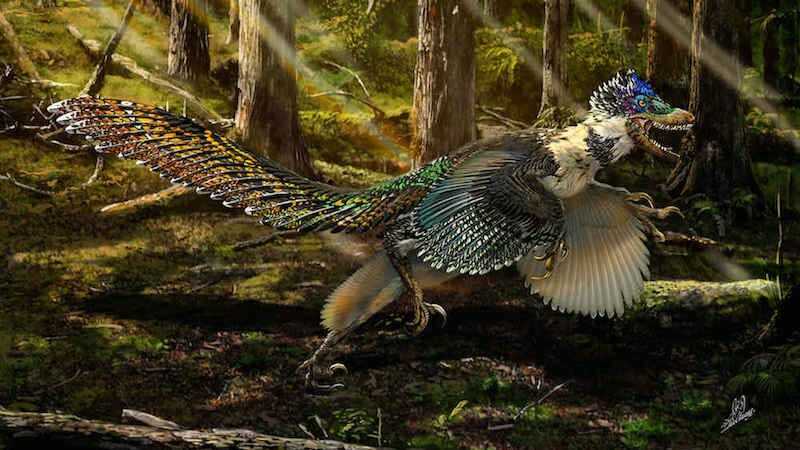 This is far from the only finding paleontologists have borrowed from the birds. Feathers are replacing scales more and more often in our dinosaur drawings. A group of scientists recently stuck a prosthetic tail on a chicken to make it mimic the gait of a bipedal dinosaur. Some may say that this comparison diminishes the awesome power of the dinosaur, but the truth is that it only makes them all the more terrifying. Now imagine that ostrich suddenly 60 feet taller and stepping right through that fence like it wasn’t even there. “What is it doing?” asks the unnamed videographer in the clip—moments before it becomes unsettlingly clear exactly what the ostrich is doing. It’s teaching you the true meaning of fear.